Enjoy the top 3 famous quotes, sayings and quotations by Jane Shellenberger. 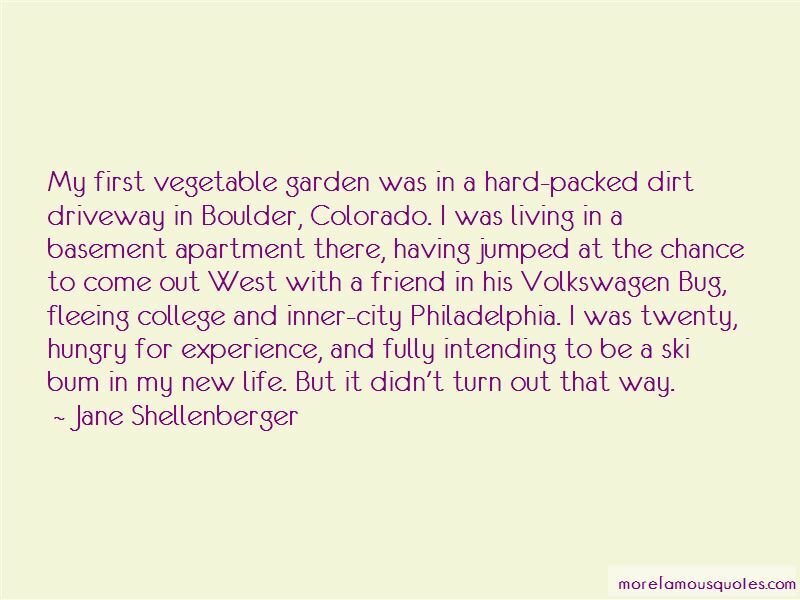 My first vegetable garden was in a hard-packed dirt driveway in Boulder, Colorado. I was living in a basement apartment there, having jumped at the chance to come out West with a friend in his Volkswagen Bug, fleeing college and inner-city Philadelphia. I was twenty, hungry for experience, and fully intending to be a ski bum in my new life. But it didn't turn out that way. 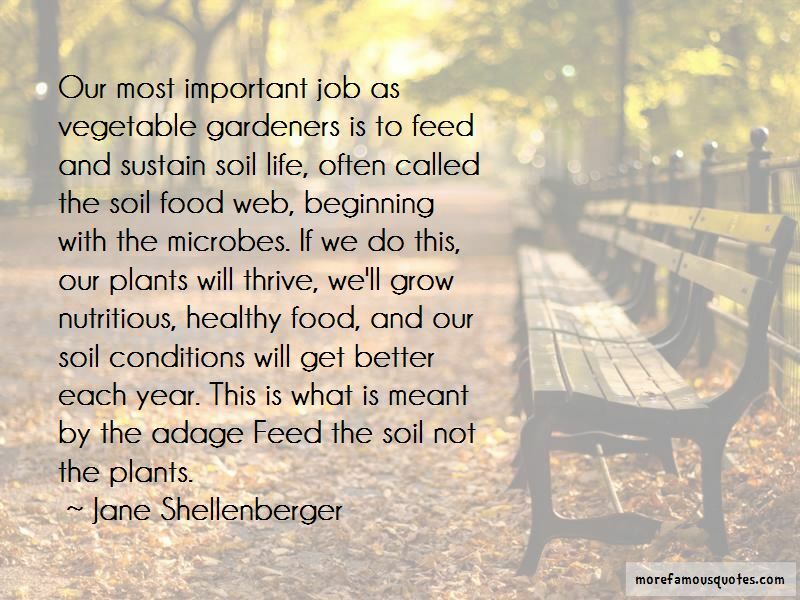 Want to see more pictures of Jane Shellenberger quotes? 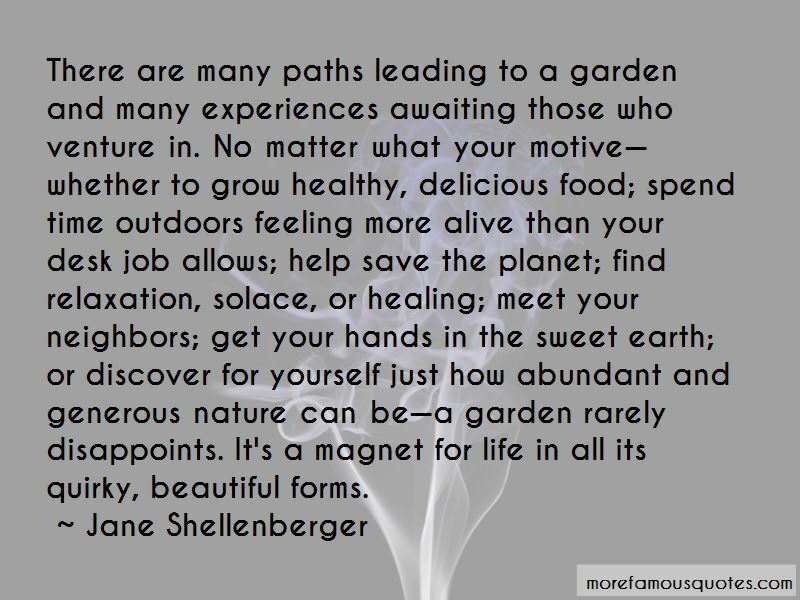 Click on image of Jane Shellenberger quotes to view full size.